We had been fighting hail for over a month. From May on into June it was day after day of tornado warnings, sirens, rain and hail. The hail throughout the state ranged from pea sized to baseball sized, though thankfully our house saw nothing larger than a nickel. 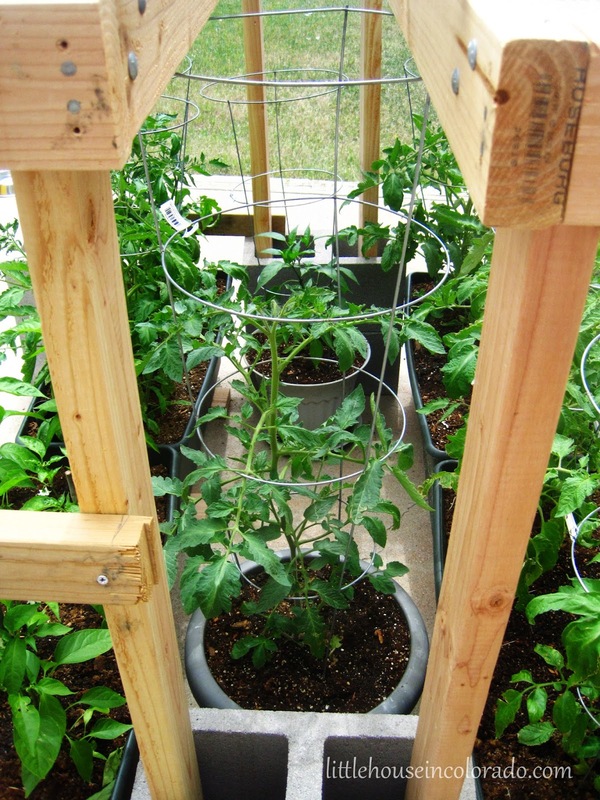 We had managed to find temporary ways to cover the newly transplanted tomato and pepper plants and while functional, the solutions were less than ideal. Sad looking, I know. 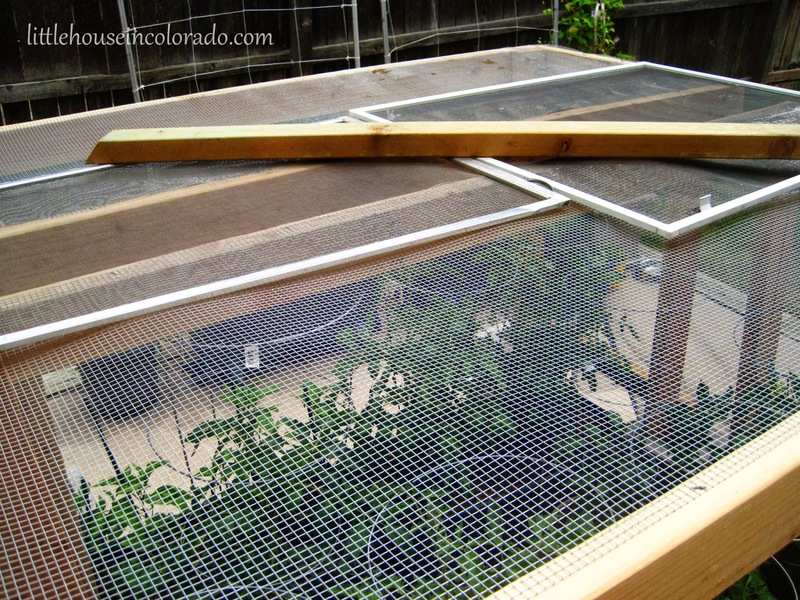 We had old screens clamped to tomato cages, replacement window screening draped over more tomatoes and peppers, a bed sheet covering the cucumbers and a 10 foot section of hardware cloth (that we had purchased in early may to make hail guards) was surrounding another container of tomatoes. 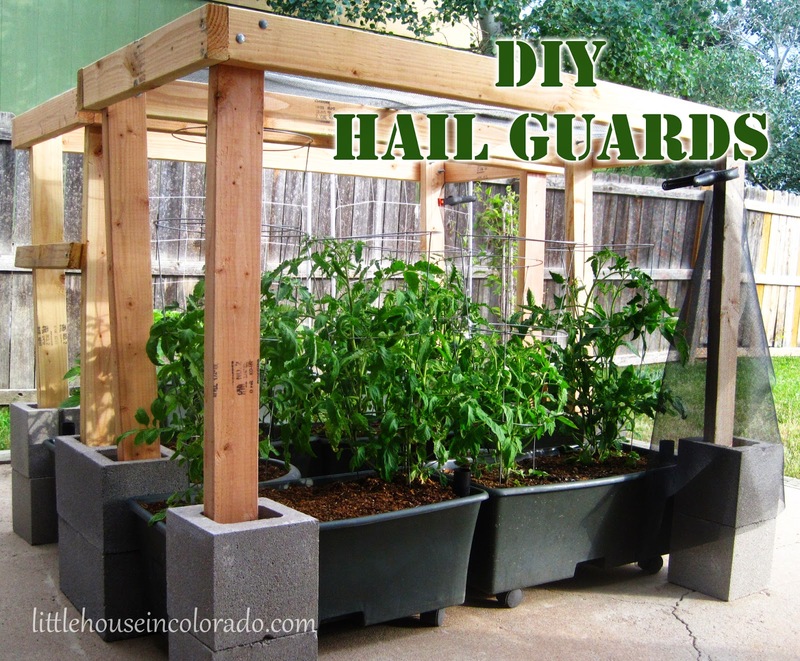 Mr. LH and I had been brainstorming hail protection that was portable, easy to set up, easy to make, inexpensive and relatively simple to store. We also wanted something that could transition easily into a permanent hail protection system later when we were finally able to buy our own place. We weren't asking for much, were we? However, we needed something for much larger plants. ...we decided that in order to protect more mature tomato plants the tents would have to be made much bigger than this play tent. 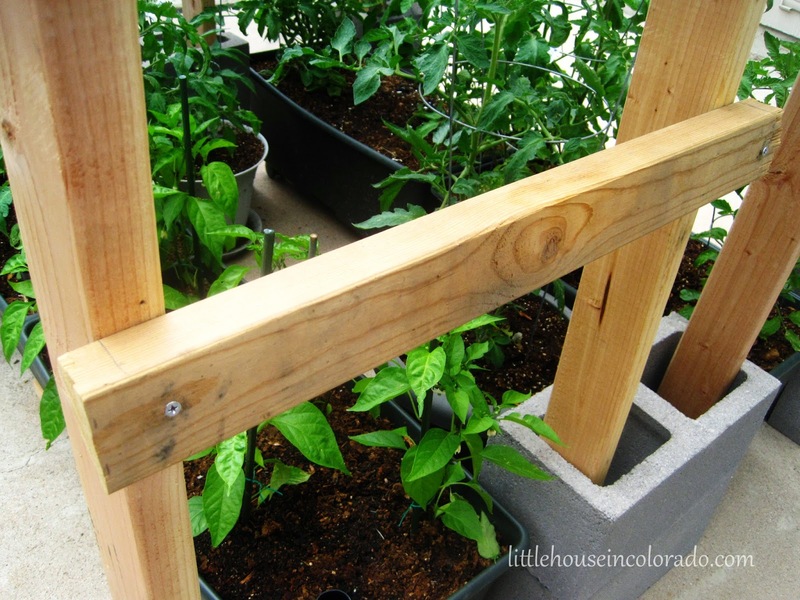 Good idea, but probably more manageable for smaller plants. 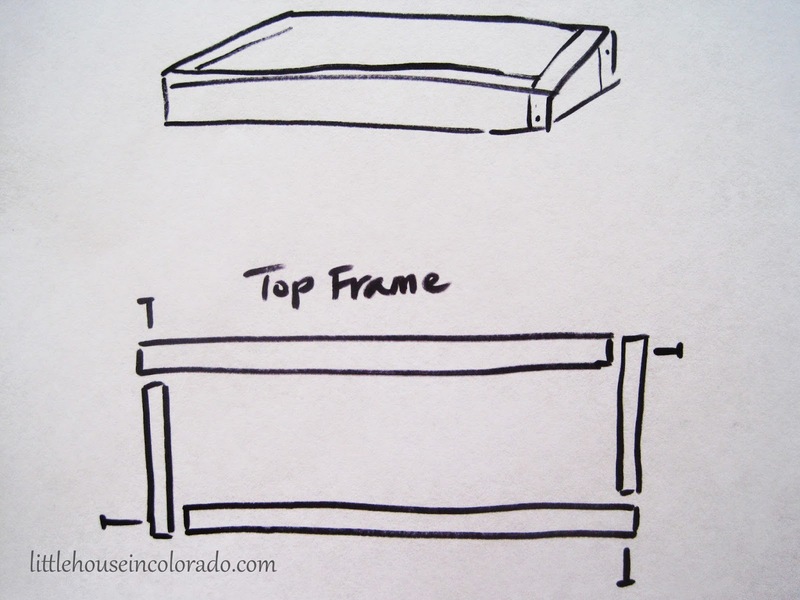 Finally, we decided to simply make a frame of 2x4s and hardware cloth that would be supported by removable legs. 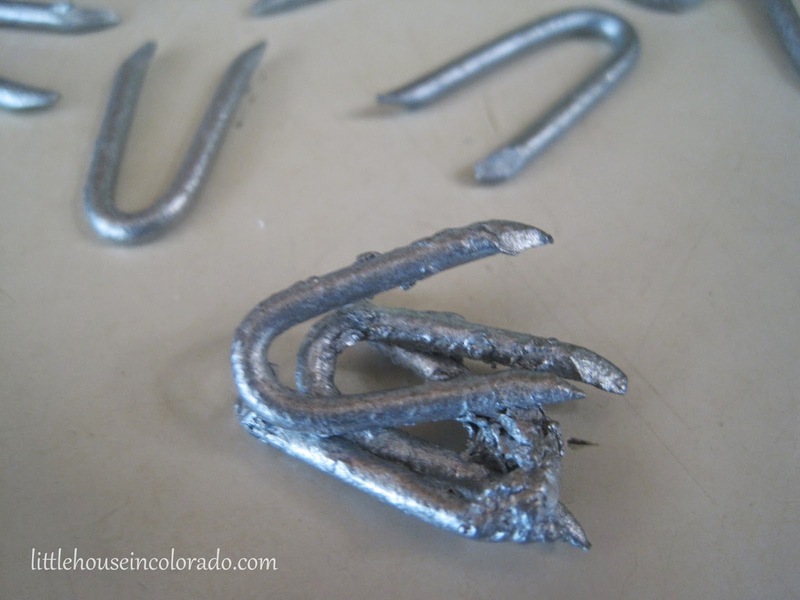 Since we already had a 2 x 10 foot section of hardware cloth, we thought it would be easier to store the completed pieces later if we cut the hardware cloth in half to make two 5-foot hail guards (instead of one 10 foot long one). After a month of crazy spring weather, I had done my share of dangerous sprints out to the back patio in lightning storms and hail storms to get the plants covered before any damage could occur. It seemed like every afternoon the skies would darken and thunder would rumble. 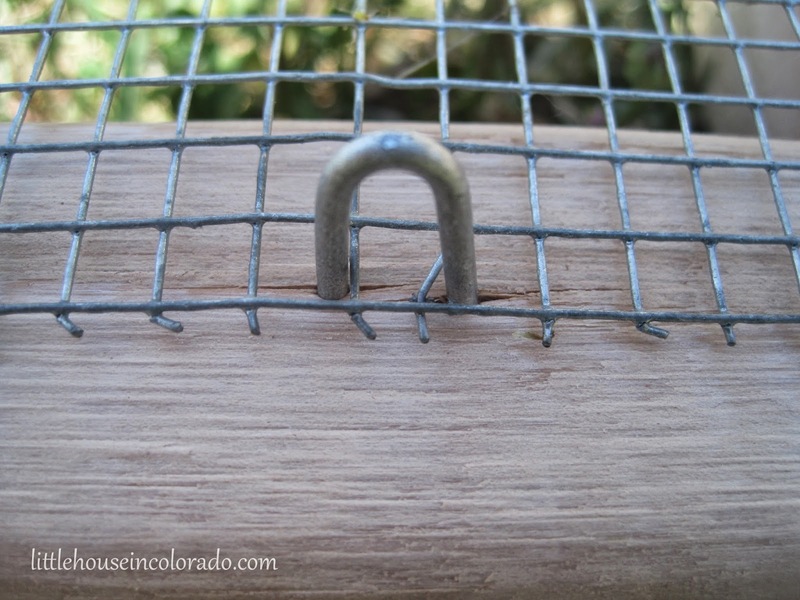 It was time stop sitting around planning and just do it...so we made a trip to the hardware store. I made these guards based on what materials were already on hand, the budget and the area I needed to cover. 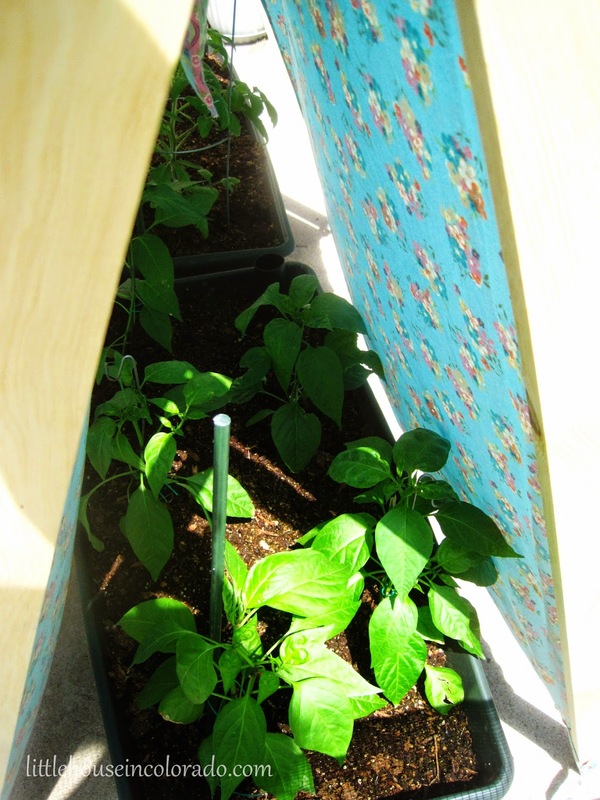 Most of my garden is planted in EarthBoxes so a 2-foot wide section of hardware cloth is wide enough to cover them. 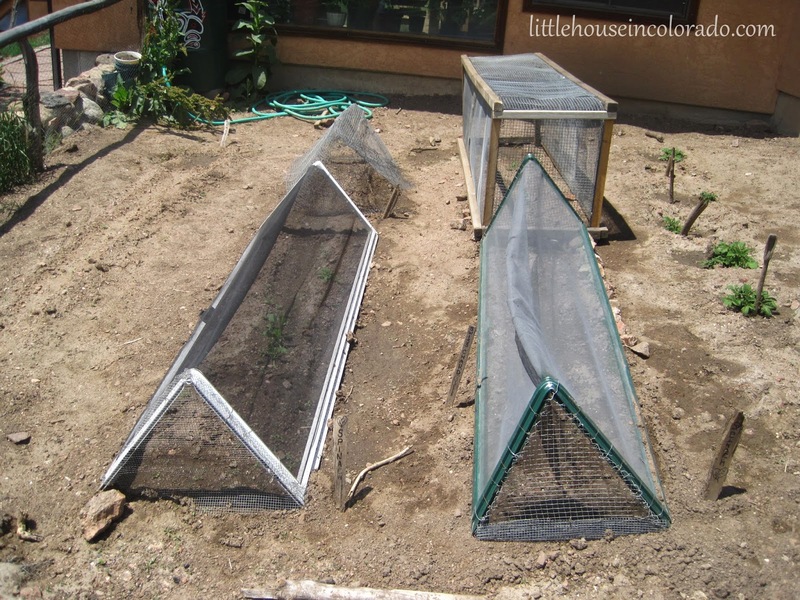 If these hail guards were being made to protect a larger garden plot, I may choose to use 3-foot wide sections instead. I'll explain here how I made these and maybe it will help you create your own customized version. Basically, we were making 2 frames from 2x4's, both measuring 5' 1 1/2" by 2' 1 1/2" with a 5' x 2' section of hardware cloth attached to the top of each. 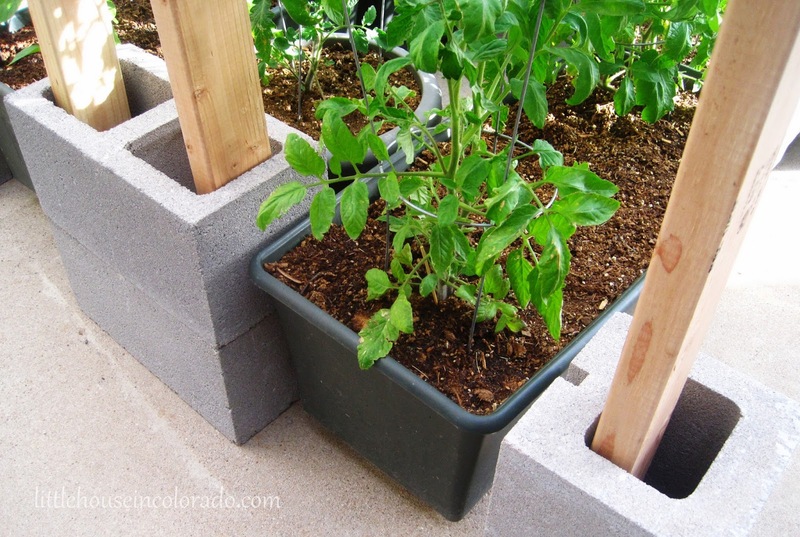 They would be supported by 2x4 legs, each 4 feet high (because that should give ample room underneath for fully mature Roma tomato plants). The legs would be bolted to the interior of the frames. We found it was cheaper to purchase all 8 foot sections of 2x4s rather than buying 12 foot sections. Lowes cut them all to our specifications and didn't even charge us for it. 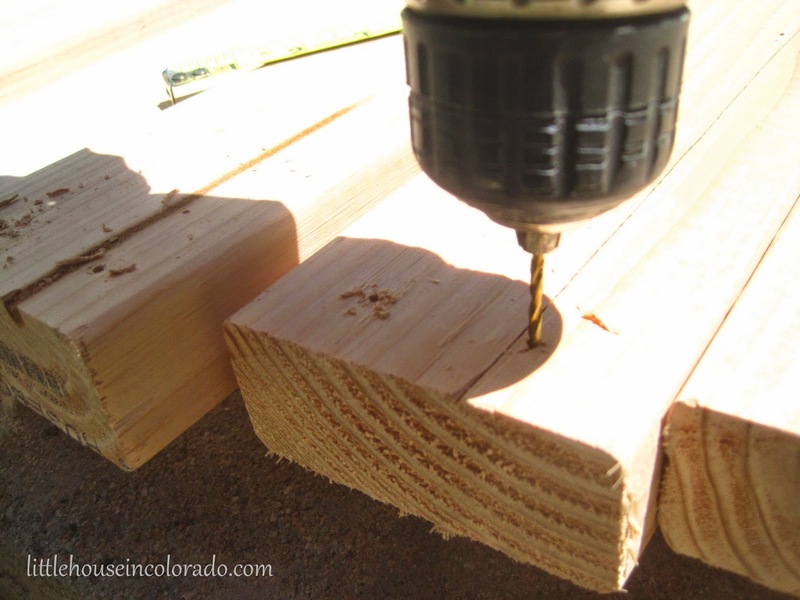 I drilled pilot holes in the ends of the boards to help prevent the wood from splitting. I had originally thought to screw the boards in place but I had so much trouble with them (quickly stripped a couple screws) so I switched to glue and nails. 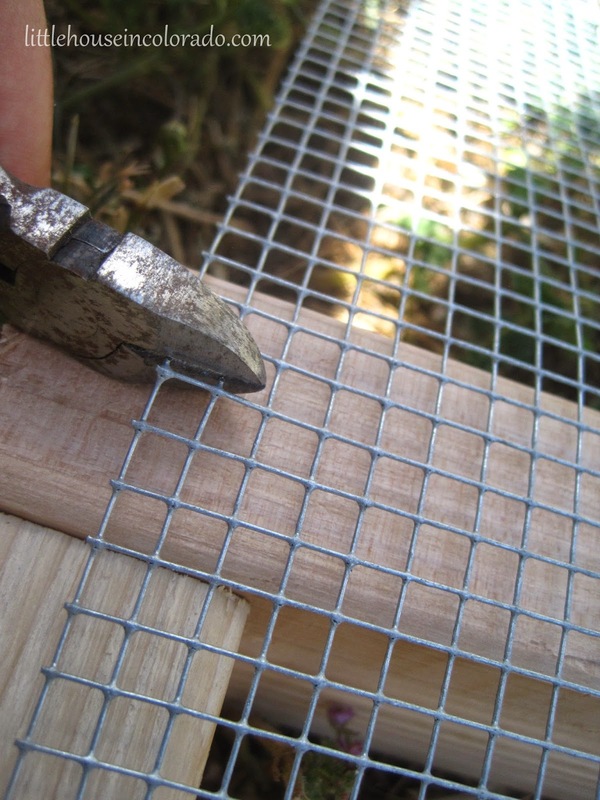 Once the frames were completed, the hardware cloth could be rolled out on top and attached. 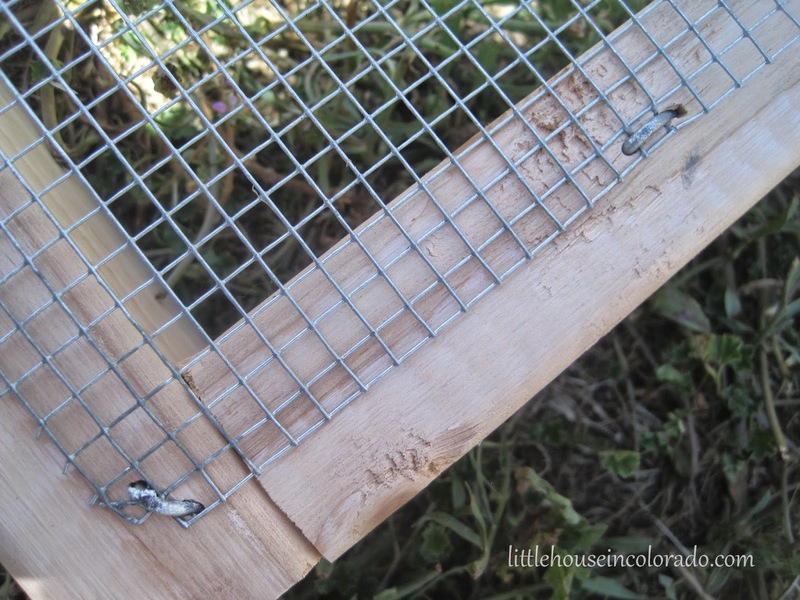 To attach the hardware cloth to the frames, we found 3/4" poultry net staples in the hardware aisle at our big box hardware store. 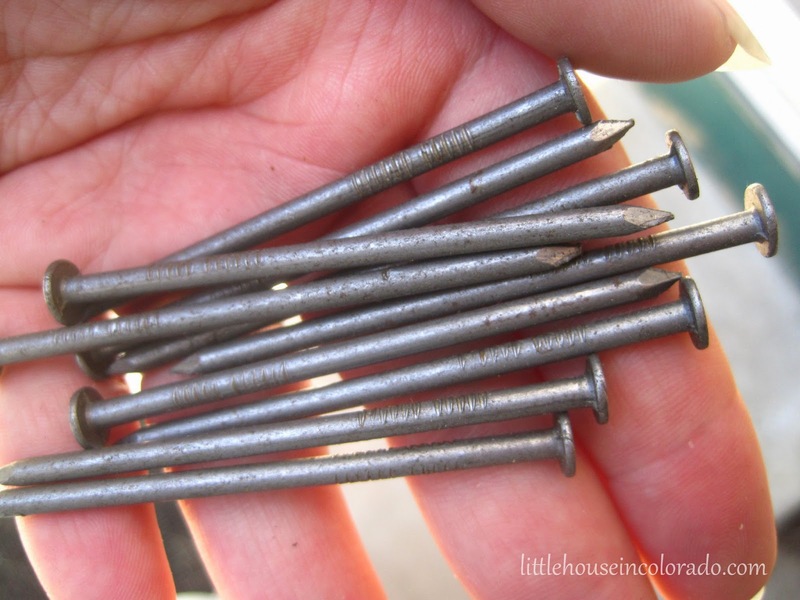 They were located near the nails. If you need a lot (close to the 365 quantity shown on the box), I'd suggest getting more than one box. There were some quality control issues with my box. 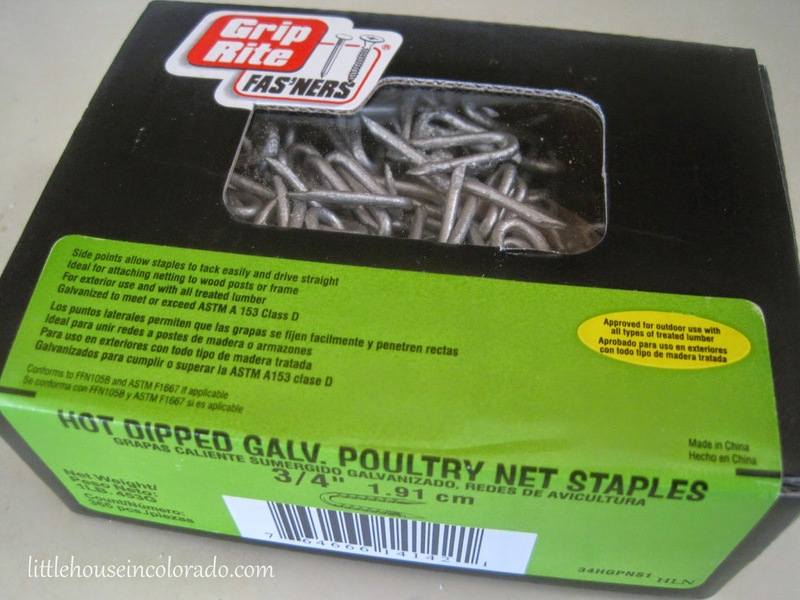 They're called "staples" but you just pound them in with a hammer like you would with nails. I placed one every six to eight inches (or so). The hardware cloth is a stubborn thing. It keeps wanting to roll up and will NOT lay flat. I left it in one big 10 foot roll and just unrolled as I pounded the staples in. Once I got to the end of my first frame, I cut the hardware cloth. Then I was left with another 5 foot section to use on the second frame. Holes were drilled into the corners of the frames and the tops of each leg. 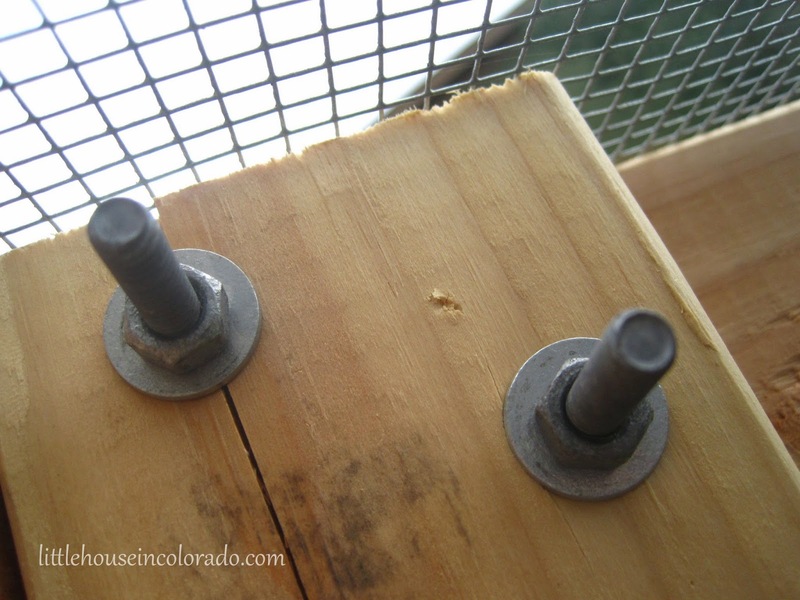 Bolts would slide into these holes to secure the legs to the frames. They could easily be undone at the end of the growing season and stored away for the winter. Here is a look at the inside of the leg assembly. The 4 foot height of the hail guards and the heavy top frame made the finished product a little wobbly. So to stabilize the hail guards, we tried screwing cross pieces into the legs. It helped a little, but they still weren't as sturdy as I would have liked. Just as the first hail guard got its cross pieces and was set up as a test, a storm dropped right on top of us. So I made another trip to Lowes to get an assortment of cinder blocks. I used the standard 8" x 8" x 16" cinder blocks for the "inside" where both hail guards meet. I used the 8" x 8" x 8" square cinder blocks for each of the "outer" legs. Stacked 2 high with the legs inserted into the holes, these hail guards weren't going anywhere! I love how the EarthBoxes fit perfectly between the legs! For now, we also have fiberglass screening draped across the front of the guards. It will help to protect against anything blowing in sideways from the west. It also provides a smidgen of shade from the intense Colorado summer sun. The guards are placed close enough to the side of the house that the north and east sides are somewhat protected as well. ...and it is quickly and easily covered by those old window screens. 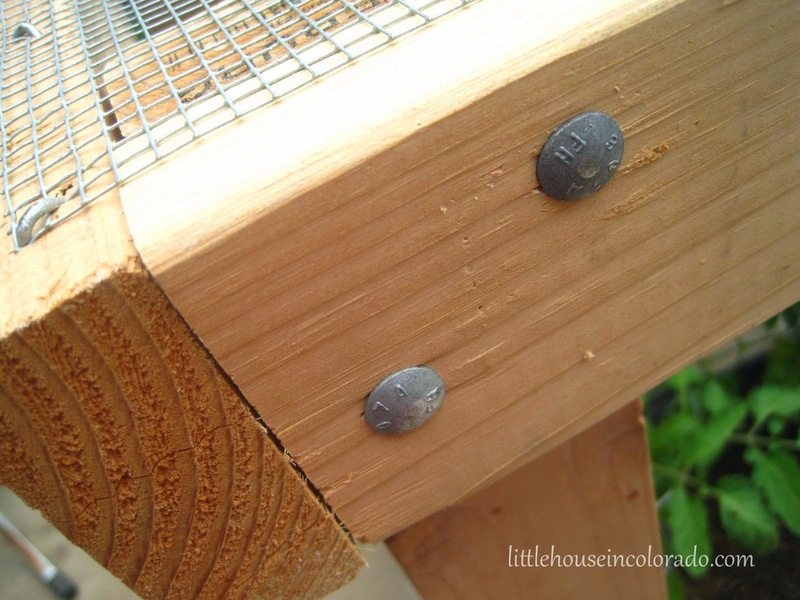 I plan to use either wood sealer or exterior pain on the wood before too long. I wouldn't want all that hard work going to waste too quickly. If I had thought about it sooner, I would have done that before ever putting the hail guards together. Ah well...live and learn. However, I can breathe a little easier now knowing that sudden storms won't do much damage these plants. Even if we're away from home they're protected. With this much heavy-duty coverage in place, I wonder if we'll get any more hail in this area? Great ideas. 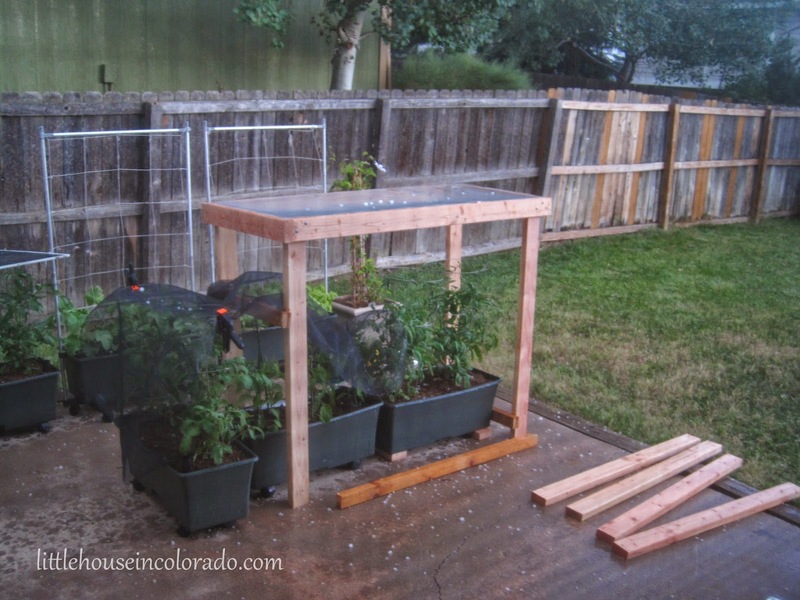 I too live in CO and am researching ideas for hail protection. Unfortunately (and fortunately) I have a MUCH larger garden space to figure out how to protect (900+sqft). 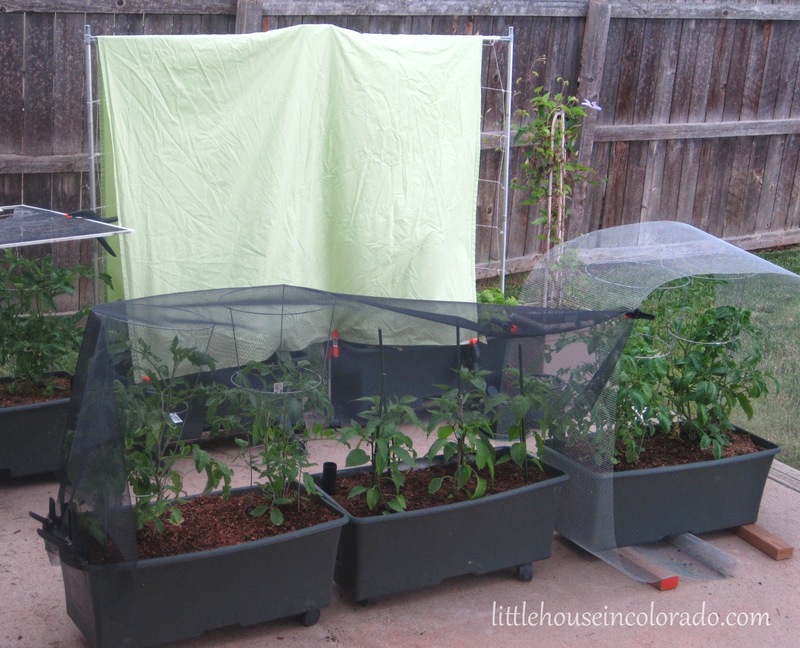 I can't afford that much hardware cloth but don't want to lose my entire garden to hail, AGAIN. Hi Jennifer! Glad you stopped by! Eventually, I hope to have much more land and a larger garden to go with it so I'm always looking for better ways to protect the garden from hail - at least the more delicate veggies. I'm thinking taller posts and screening - or maybe even the plastic hardware cloth. Inspiration for this came from the taller hail guards I saw here: http://www.pennandcordsgarden.com/. Those might be more what you need right now. Much appreciated my plants thank you. Thanks for the information, Tahru! The screens I was using to cover the open space between the hail guards were discarded long ago. 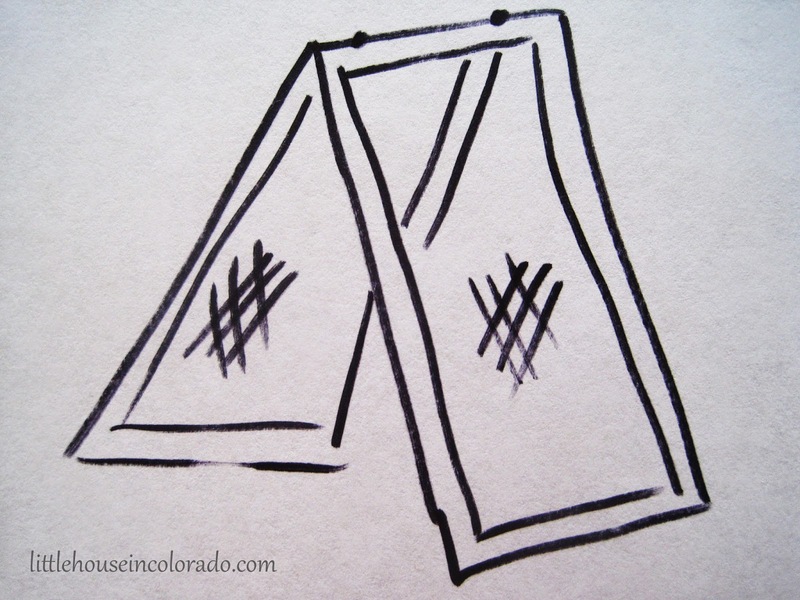 However, if someone was considering using the bent screen doors as shown above, it may be in their best interest to switch out the screening for aluminum mesh cloth as you suggest. Thanks again! It's been a couple of years now...are they still holding up? Would you do anything differently in hindsight? I'm up here in Wyoming and have very similar issues re: hail storms rolling through. Last year was my first year of growing anything. We were lucky re: the weather, but toward the end of the season we got a few storms. During the first one, I was out there holding an umbrella over the plants while I was being pummelled by the hail, ha! After that we gave up and figured we'd just come up with a better plan for the next year. Our containers are pretty much just like yours and your plan looks very do-able. Thanks for sharing your plans and photos - very helpful! They are still holding up well! I put a couple coats of outdoor paint on them a few years ago but I'm not sure they really needed it. I would prefer something a bit more lightweight and perhaps prettier (grin), but then again, these have survived a couple blizzards this year and they didn't budge at all. 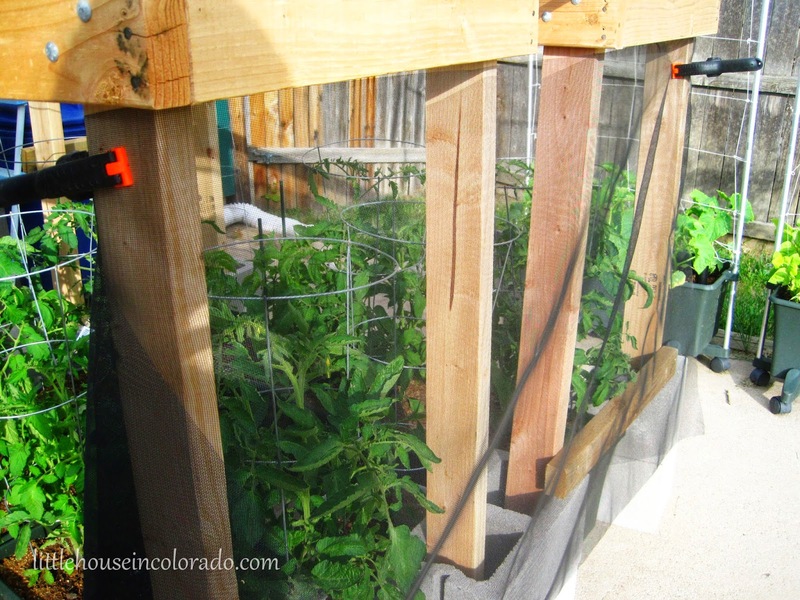 Last year we had 2 inch hail and my plants were perfectly safe underneath the hail guards. Even the pea sized hail gets deflected pretty well so they don't punch holes in the leaves. 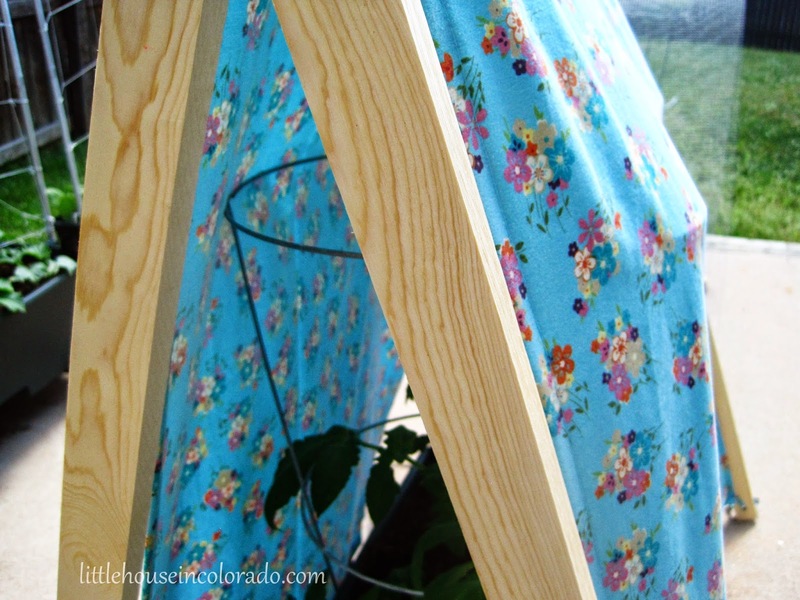 And an added bonus is the hardware cloth actually provides a smidgen of shade so the tomato leaves don't scorch. Everything beneath it is always a nice lush green while things not under the guards look parched. I have to say I'm really happy with the hail guards.